The Department of Orthopaedic Surgery at Rush is committed to both basic science and clinical research. 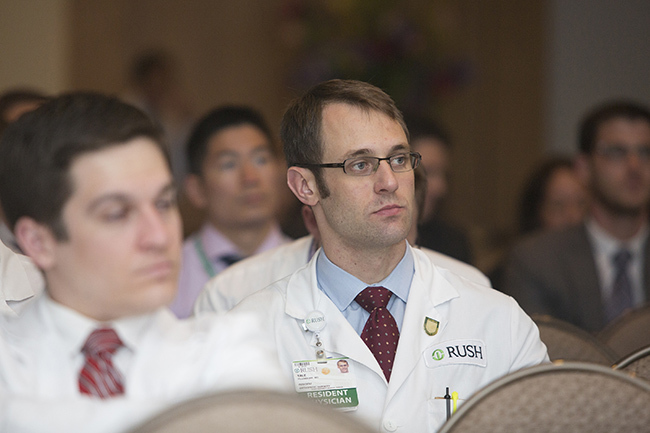 Rush is home over 47 faculty members who are devoted to improving patient care through translational research. Rush is proud to be home to seven American Academy of Orthopaedic Surgeons Kappa Delta award winners, the highest honor in field of orthopaedic research. As a result, impactful translational research in the Department is largely responsible for propelling the institution into the national and worldwide leadership positions that it holds. Rush remains one of the best funded orthopaedic departments in the country with multiple NIH grants as well as significant private funding. Collaboration with the talented research faculty enables residents to effectively answer questions in basic, translational, and clinical fields. Resident research is strongly supported and encouraged. All residents have one 10 week block of dedicated research time during their third year. In order to graduate, each resident is required to submit one manuscript for publication and prepare one presentation to be presented at the annual Thesis Day. 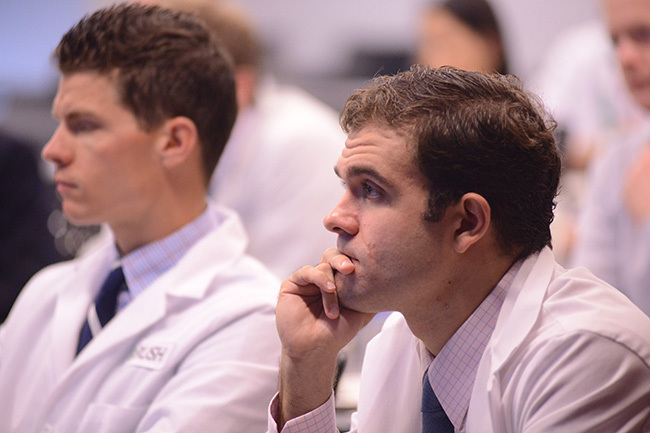 However, many residents go above and beyond the requirements because the faculty actively engages residents in projects and enjoy mentoring and supporting resident research. In the most recent graduating class each resident published an average of 13 manuscripts over the course of their residency (range, 3 – 37). With over 47 faculty conducting research in every subspecialty, it is nearly impossible not to be successful at research here at Rush. 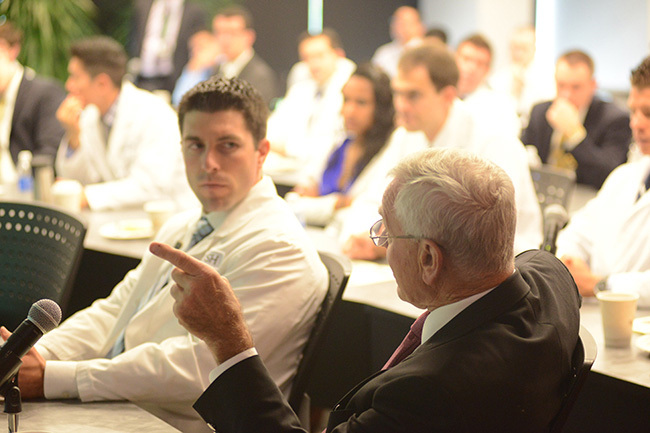 The residents collaborate with each other, with orthopaedic fellows, and with research assistants, all under the close guidance of some of the world’s most prominent orthopaedic faculty. Residents are also encouraged to present their work at national meetings. Many residents at Rush have been recognized on the national stage for their research. 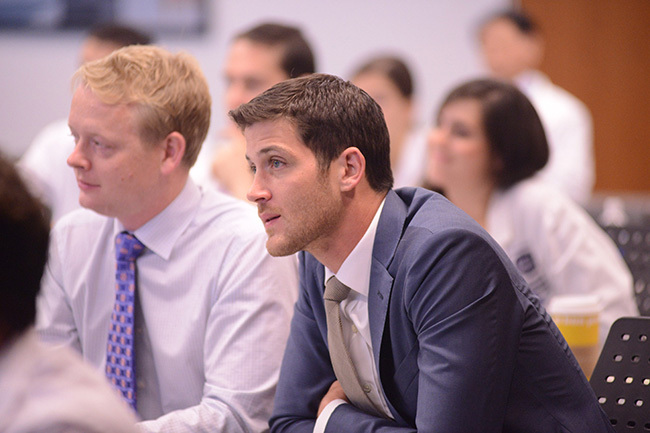 Most recently, Yale Fillingham (Class of 2017) was awarded the prestigious James A. Rand Young Investigator’s Award at the American Association of Hip and Knee Surgeons Meeting for his work on tranexamic acid. 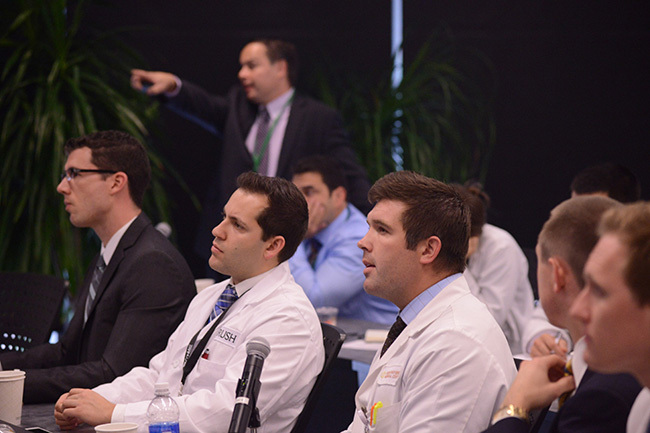 Each year we highlight the research conducted by our graduating residents at Thesis Day. 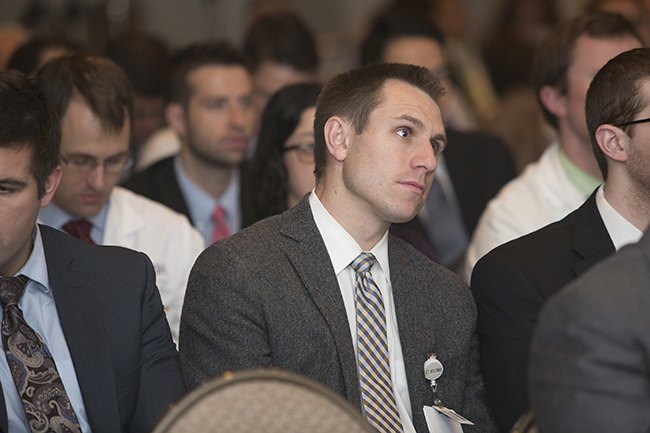 Graduating residents present their most impactful research they conducted throughout their 5 years of residency. 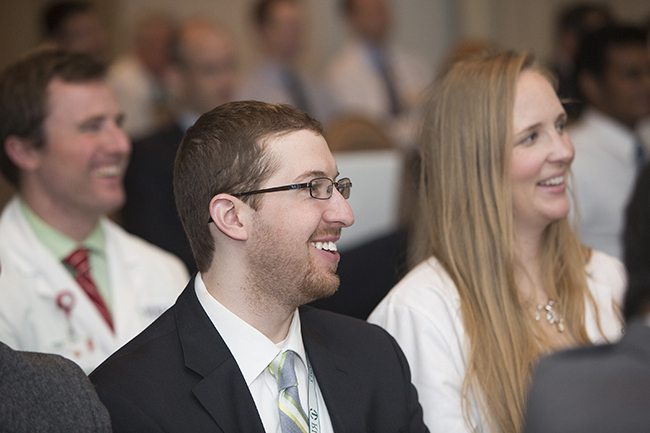 Thesis Day is a celebration of our graduating residents and all of their accomplishments. For more information on the specific research departments at Rush please see our research programs.